I'm not feeling great today. In fact, I just woke up from a monumental nap, which is why this post is so late. The sewing yarn is not stretching with the fabric. 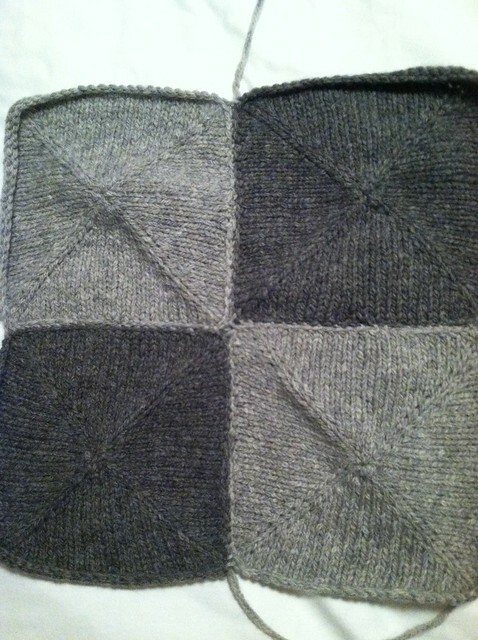 I even tried blocking the whole thing together, to get the yarn to stretch more, and it's not working. I'm using a pretty basic whipstitch, and the result is terrible. 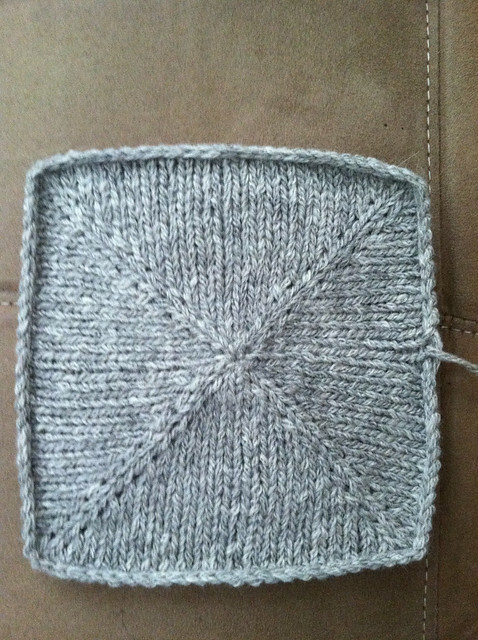 I do have plans to use a different cast off to try to make the squares even MORE square, which I'm hoping will help. The thing that bothers me most about this project is that I just want it to be done. This blanket is replacing a really worn lap blanket, so the sooner I can complete it, the better. It's not mentally stimulating knitting, but the squares are small enough and easy enough to take along in a car, to a waiting room, etc. I have to admit- I've been less interested in working on the project because I'm not happy with how it's going. Does anyone have any advice for me, out there in knitter land? The fabric is just too nice to give up on! You could undo the sewing and cast offs, put the stitches on waste yarn, then firmly block the squares without binding off. THEN bind off very loosely with the sewn bind off or something, and then seam them together. Sorry for the book. Haha! I just kinda started talking/typing and then all of a sudden I had this long comment written! Oops! I'm doing the barn raising quilt and had the same problem until I left the last round on scrap and 3 needle bins off the squares together. Much happier with the end result. Thanks for the tips! I think the 3nbo is going to be my answer... too bad I hate doing it! I tried binding off with the EZ sewn BO and still had the same issue. Better luck next time!